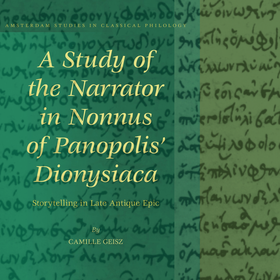 Review of: Camille Geisz: A Study of the Narrator in Nonnus of Panopolis’ Dionysiaca. Storytelling in Late Antique Epic. Leiden/Boston: Brill 2018 (Amsterdam Studies in Classical Philology 25).